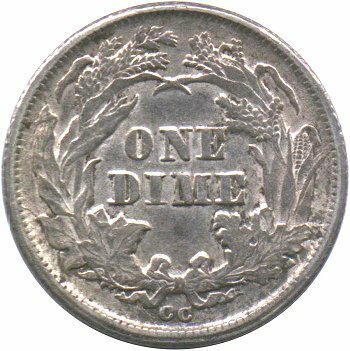 Doubled dies are quite common with the Liberty Seated Dime series, especially during the transition from Type I to Type II reverse design between 1876 to 1878. 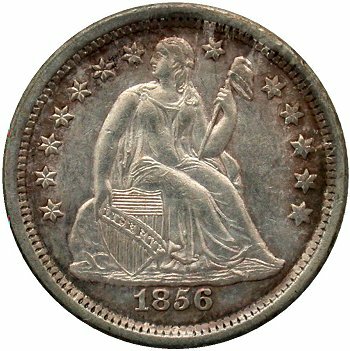 Doubled dies can occur on a random basis or will be found clustered within a date or mintmark. 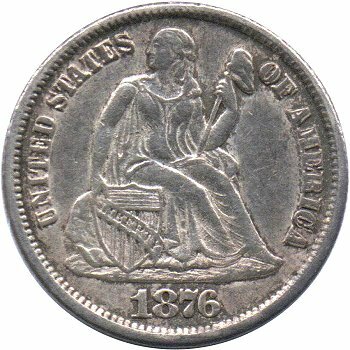 Collecting Liberty Seated Dimes by double dies would be a specialized project for the advanced numismatist. 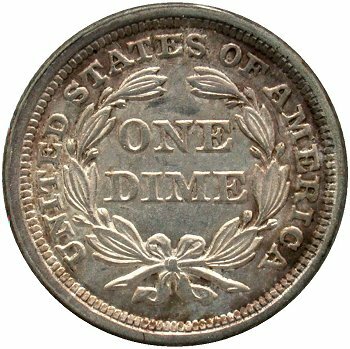 An index of all published Liberty Seated dime double dies in the web-book is found at this link. Select a major design group link to view a date level list of known doubled dies. 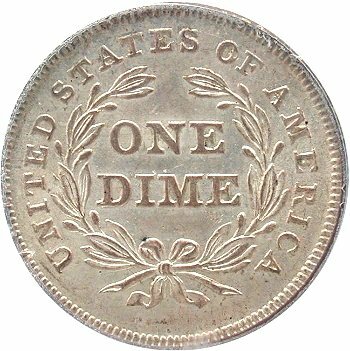 Each doubled die listing, within the design group, is linked to its variety page in the Date and Mintmark Variety Analysis section. Once you have selected the doubled die link and viewed the variety page, you must use your back button to return to the Doubled Die design group page. For detailed understanding of the formation of doubled die, John Wexler's website entitled Wexler's Die Varieties is probably the best available. It can be found at www.doubledie.com. The topics on "How Dies Are Made" and "Doubled Dies" are recommended reading. 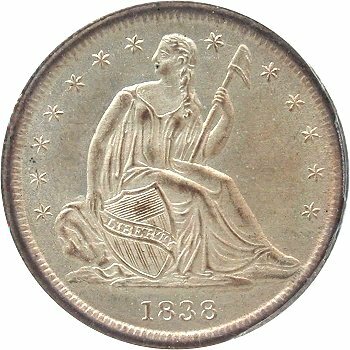 In the latter topic, John describes in details the characteristics of Class I through Class VIII doubled dies.